Gary shows a good burst off the LOS at times and uses his arm length to his advantage to stay off of blockers. He is able to set the edge against the run. His burst after the snap allows him to get good distance up the field but his lack of bend forces him further up the field at times. He is versatile at being able to play inside and on the edge. He has the knowledge to stop and force the quarterback to make a decision on the read-option, but he does not have the quickness to react or the speed to chase down the ball carrier. Allowing them to get the edge or have a path for the inside lane. His strength and get off at the snap will give him success at the next level, but his lack of bend will hinder it at times. 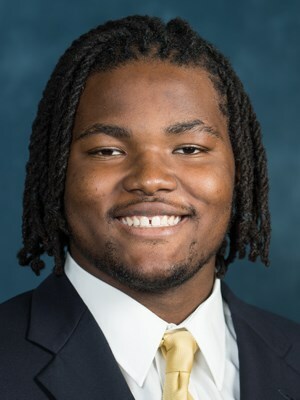 He does have a combination of pass rush moves that can get him past a tackle or split double teams and that will continue to develop and grow in the NFL. Gary does have a bright future if he lands in the right spot.